Drew Estate shocked premium cigar enthusiasts at the tail end of the 2012 cigar season, introducing a "bite sized" version of their fan-favorite, Liga Privada Único Serie cigar line. Originally sold in 4-count tins, these tasty little snacks were appropriately titled Papas Fritas (Spanish for "French Fries"). 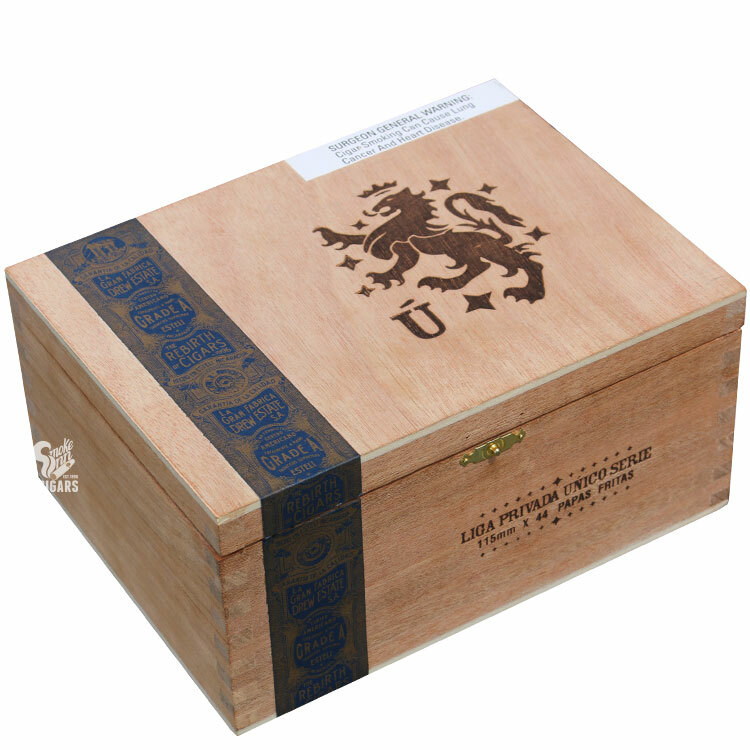 Liga Privada cigars have been regarded as among the world's finest maduros since their release in 2007; so when Drew Estate announced an affordable, 4.5" x 44 tripa corta blend (short filler), Liga fans were both excited and anxious... Of course, Drew Estate couldn't simply release your ordinary short-filler cigar and slap the prestigious Liga name on it - that would go against everything the brand stood for. Instead, they formulated the finest, most labor-intensive tripa corta cigars the market had ever seen! Using the scraps from the "chaveta" cuts of Liga Privada's ultra-premium Broadleaf wrapper and Grade 1 filler leaves, the trimmings are then individually hand-sorted by leaf variety and thickness, hand-cut into uniform size, and hand-blended back into a premium smoke worthy of the Liga Privada Único name. It's no surprise then that these little "french fries" are often regarded as the world’s best petite cigars - a short-filler blend that smokes better than many of the competition’s long-filler offerings!